Who’s ready for tacos every night of the week? 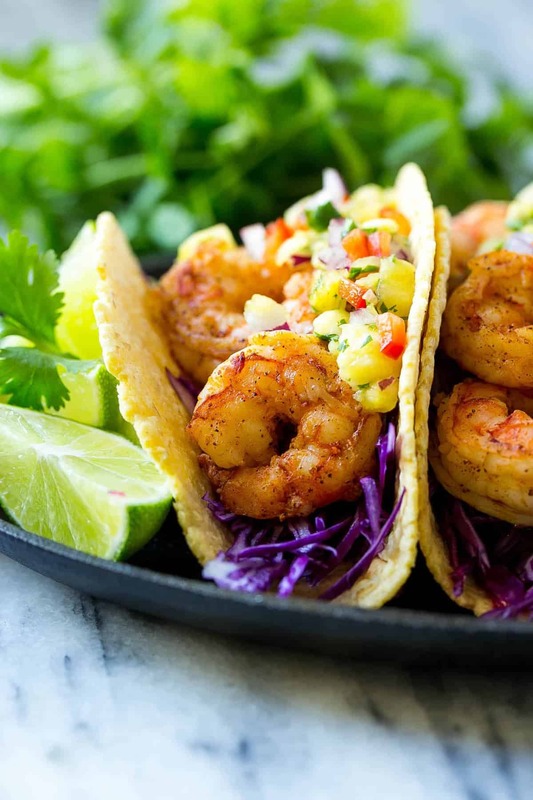 If you haven’t introduced your family to shrimp tacos yet, then these are what you need to be planning for dinner. 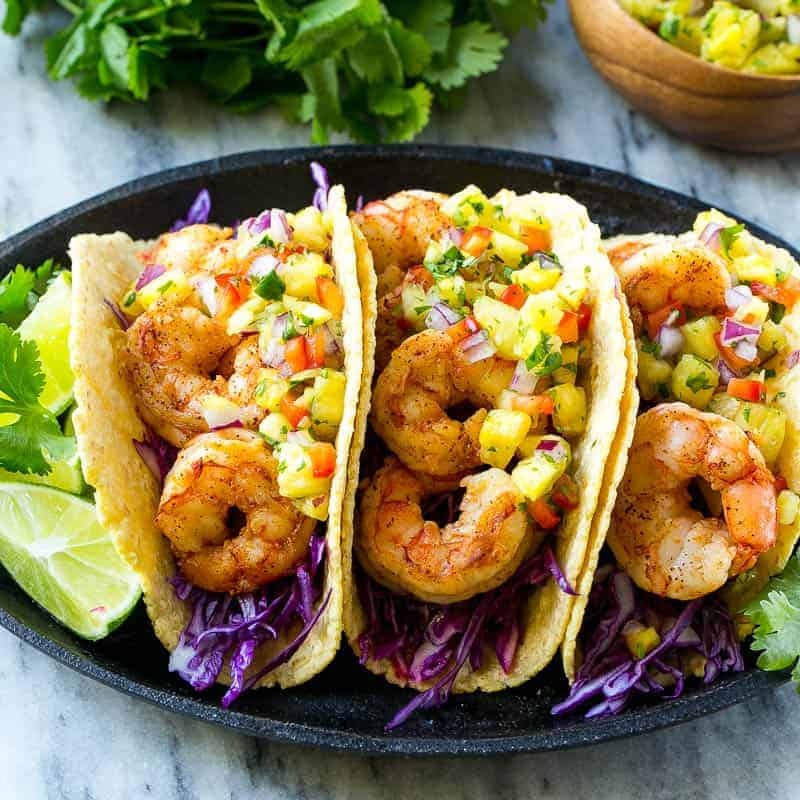 This Shrimp Tacos with Pineapple Salsa recipe is not only delicious but super easy to make. The pineapple salsa is our favorite! I bet your family will love it as much as we do. 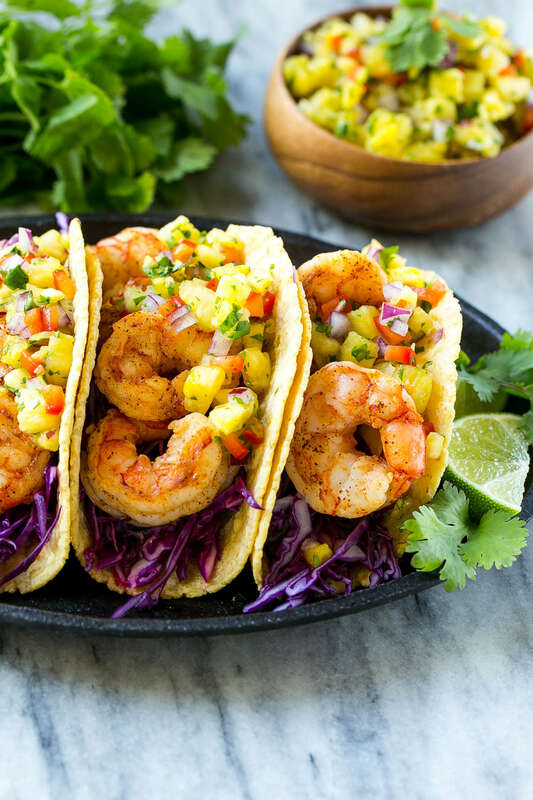 When you mix the shrimp tacos and pineapple salsa together, you have a very unexpected, yet welcome taste on your tongue. You’re going to enjoy taco Tuesday even more now or whatever day of the week you decide to have them on. This Taco recipe will be a winner! What do you put on a taco? Often wonder what the exact ingredients are for tacos? Everyone makes them differently these days. Which is exactly what I did with this Shrimp Taco Recipe. I added pineapple salsa. What you put on your taco depends on what pairs well with the protein you are adding. But some toppings include but not limited to diced tomatoes, guacamole, onions, hot sauce, lime, shredded cheese, sour cream, lettuce, shredded cabbage, and jalapenos. Are Mexican street tacos healthy? Mexican street tacos are fairly healthy if you think about it. Made with corn tacos, beef, chicken, fish or pork, onions, tomatoes, guacamole, hot sauce, lime, and cilantro. Stick with cooking the meat healthy like grilling instead of frying and keep the ingredients healthy. 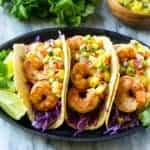 I would love to know if you liked this Shrimp Taco Recipe when you make it so please come back and leave me a comment below with your feedback. Also, tag me on Instagram so I can see your remakes and share them! If you haven’t Signed up for me Newsletter you should! 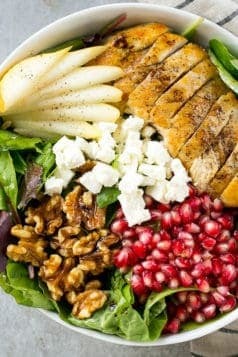 You won’t miss any of my recipes! 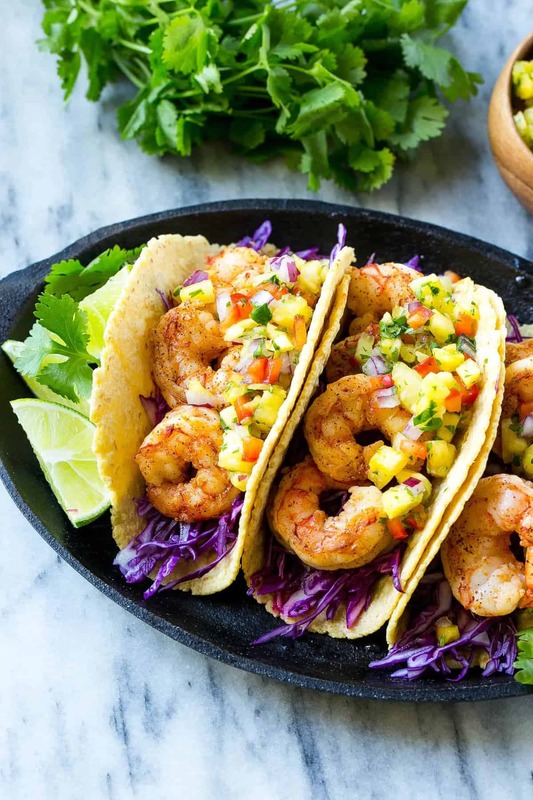 Chili-spiced shrimp, fresh and bright pineapple salsa and cabbage, all tucked inside warm tortillas. 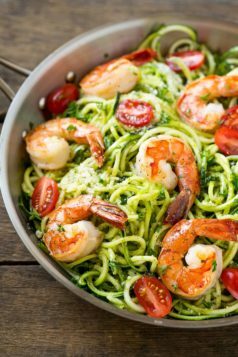 For the shrimp: Heat the olive oil over high heat in a large pan. Season both sides of the shrimp with chili powder and salt to taste. 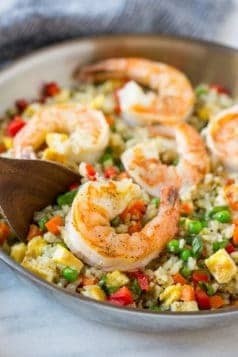 Place the shrimp in a single layer in the pan and sear for 2-3 minutes per side, until shrimp are pink and cooked through. For the pineapple salsa: Combine all the ingredients in a bowl, add salt to taste. 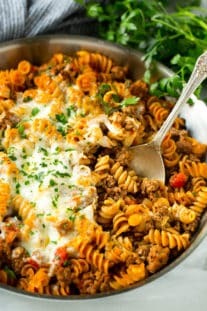 Cover the bowl and place it in the refrigerator for at least 15 minutes, up to 4 hours. To serve Warm the tortillas. Add a handful of cabbage to each tortilla and place the shrimp on top of the cabbage. 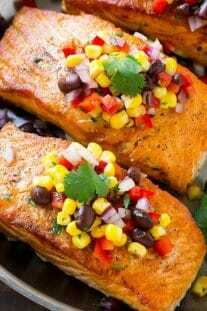 Top with pineapple salsa and serve immediately.